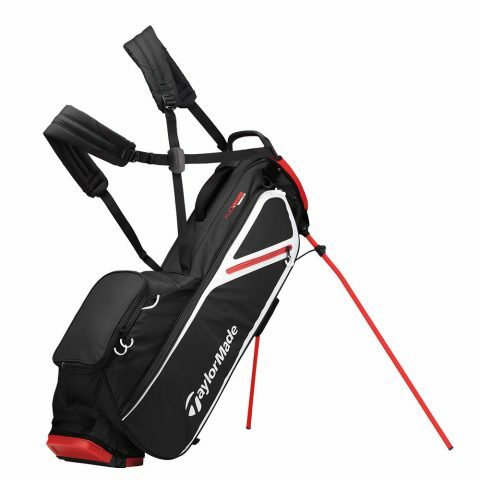 TaylorMade’s new line up of stand bags for 2019 comprises five models – FlexTech, FlexTech Waterproof, FlexTech Crossover, FlexTech Lite and LiteTech 3.0. 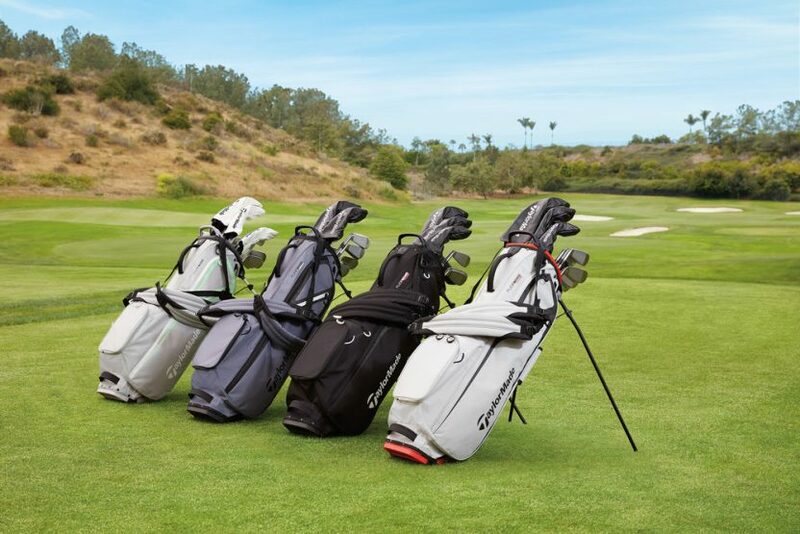 The first four feature the company’s FlexTech base system – a collapsible base that allows for easy deployment of the legs with additional space that negates club crowding, while all five bags feature a new self-adjusting strap system that allows golfers to have balanced bag without having to adjust cumbersome straps. Without a back pad, the straps are more effective when utilised as a single or double configuration. 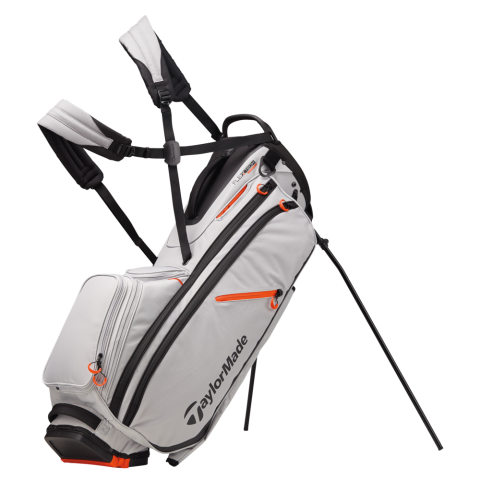 The FlexTech Crossover boasts a 14-way top to protect each club in the bag, access to the two oversized apparel pockets on the side of the bag that are made possible by the unique design built into the centre ball pocket. 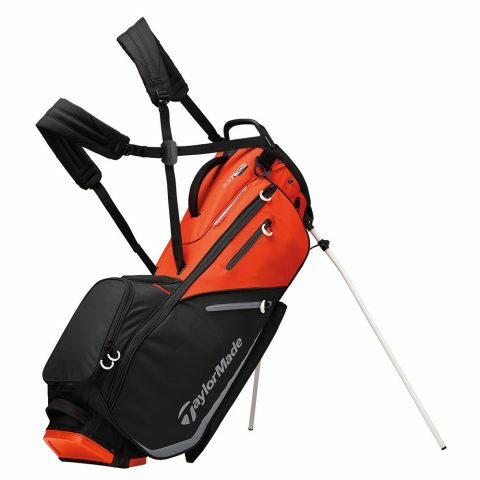 The bag features three larger front-facing pockets (including a cooler pocket with a drain port), for easy access storage while strapped onto the cart. Weighing 2.7kg, the it boasts 10 pockets; an internal insulated cooler pocke; insulated water bottle pocket; full-length dividers. It comes in silver grey/blood orange, navy/white and black/blood orange. RRP £199. 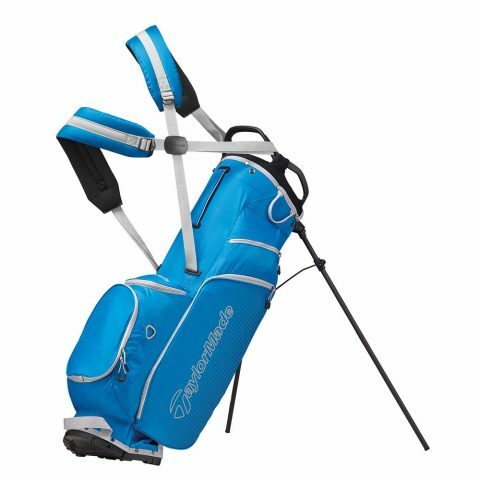 Weighing 2.1kg, the FlexTech Lite is the lightest bag in the FlexTech family and is lighter, more comfortable to carry and offers a more functional design than its predecessor. 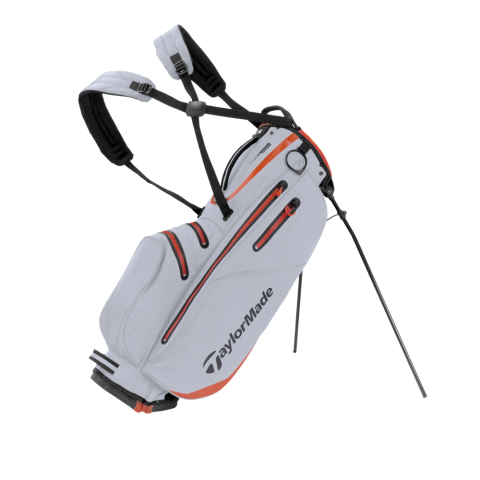 Weight was saved by moving to a single stay construction, which is positioned along the spine of the bag to ensure it is durable while remaining lightweight. A rangefinder pocket/capsule has also been added to the side accessory pocket to allow for easy access. It features a four-way top, eight pockets, and full-length dividers and is offered in Silver/Blood Orange, Navy/White, Black/Blood Orange, Blood Orange, Kalea. RRP £159.